Online video has grown tremendously in 2007. Sites are popping up and attracting more and more submissions and visitors each day. Thus, there is a market audience for online videos. But, there are other reasons to incorporate video into your marketing mix. 1. It’s cheap. Anyone with a camcorder, Windows Movie Maker and an internet connection can get a video online. 2. It’s easy to disseminate. Videos can be embedded on third party sites (YouTube, Kyte.Tv, VideoEgg, etc.). Video can be embedded on your company/personal web site and used in e-mail marketing campaigns. 3. It appeals to more senses. Video includes images, sounds and motion making it more compelling than text, audio and images. 4. It can help your marketing message break through the clutter and spread virally (if it is interesting, funny and/or relevant within social networks). But, there is yet another (and bigger) reason to get involved in online video. That is, the rise of mixed search results. Haven’t seen it yet. Look here. Or Here. Don’t think it applies to anyone except celebrities? Then, look here. Mixed search results is changing the SEO game. Example of how mixed search results changes the SEO game. shows up twice, at the 5th spot and the 11th spot. 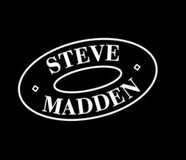 One thing to note is that Steve Madden Shoes is a public company (SHOO) with a market cap of 402 million dollars. All the money that Steve Madden invested its optimized page titles, meta tags, H1 tags, new content, blog and social media-enabled press releases is pushed aside (or off the top 10 in this case) by a video made by a twenty-something guy and his pals. Have your doubts about how effective it can be for your company? Fine. Me too. But instead of doubting, test it out. Or, ask your best customers what they’d think if you e-mailed them a video about your upcoming event/promotion/sweepstake. Take some risks. Have some fun. Enjoy the ride.